This illustrated guide is designed to help students recognize and learn the different types of compound leaves. The single Web page can be easily printed for use at field sites. 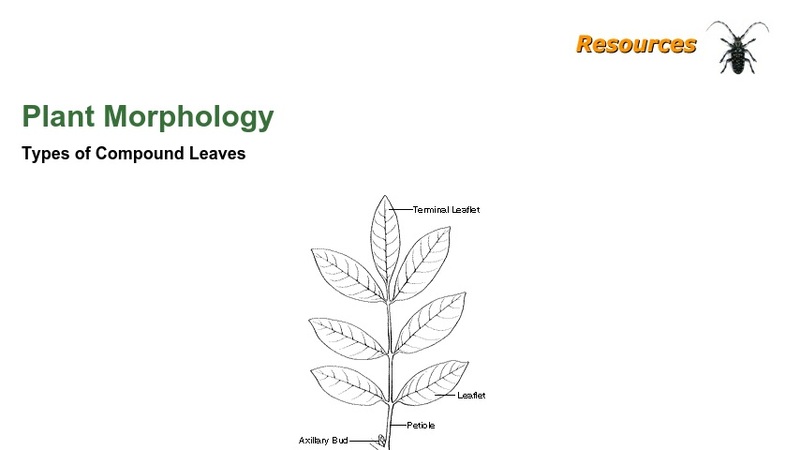 Along with a short description, an illustration that identifies a leaflet and petiole is included for four types of compound leaves.